This is such a random post – but since we all tend to write about what we like, I thought I would share a pretty cool feature from Dish TV. Dish also has a cool feature called “The Hopper” which automatically skips all the commercials for prime time TV shows. It also records all the prime time programs so you can watch them anytime. With “The Hopper” DVR you can record up to six programs at once. So handy! We could only record two at a time on cable and many times had to choose between a third program we normally recorded and watched. Now we don’t have to choose. If you are wondering if Dish saves money – it does! There is a promotion on right now – sign up with Dish and get a free iPad or $20 off every month for the first year. We pay only $44.00 per month. Last week my friend Deanna introduced me to a wonderful little app called “Timehop”. When downloaded on to iPhone, iPad or desktop computer this app allows you to see what you wrote on facebook up to four years ago. I have been enjoying the pictures and status updates from a time long ago – even if it’s just last year. As a long time journal writer – it has always been interesting to me when I write something. Not just why I write it – but when. And I have always had this weird practice of going back and looking at where I was one year ago or further. When I was in high school I kept journals pretty religiously (I still have them) and would write down at night before bed, what I was going through or feeling at that exact moment. Then I would look back at what I was doing or feeling one month before on that exact date. It was always enlightening to me – and usually it was remarkable how I made it through a hurt or disappointment that I thought would finish me. Keeping a record helped me remember. And be thankful. It is much the same with Timehop. Only this time I am grown up. And yet still – there are things I have gone through and still continue to go through. It is a positive thing to see how far I’ve come from year to year. And though things are often not expressed in those updates – I know and remember where I was and what was going on in my world. How about you? Do you ever timehop? What would be your reaction to see what you were doing one year ago today, or two, three or four? Try it out! You will love it. I have always had a love/hate relationship with my CD/Radio. There is a shelf for it in my bathroom. Up until recently it has sat there, willing and able to play CD’s or a radio station of my choosing. I like to have music going while I shower and get ready for my day. The love part of the relationship is this: I LOVE good music. The hate part of the relationship is this: I HATE commercials. When listening to radio I have discovered there are TONS of commercials. I really hate them. When I listen to my own CD – because of the moisture in the bathroom – the CD sometimes skips or won’t play at all. I have loved Spotify free service on my iMac so I decided to try Spotify premium service for a month so that I could listen to my playlist on my mobile devices and more particularly in the bathroom. This meant getting rid of the clunky CD player and buying a speaker dock for my iPhone. I actually tried one – returned it and tried another one. Then because I didn’t want to pay for music from a monthly subscription like Spotify – I decided to explore internet radio. I bought an app for .99 that allows me to access radio from around the world – COMMERCIAL FREE. It is called SHOUTcast. 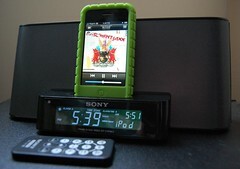 I can play it from my iPhone or iPad in my bathroom – my favorites include easy listening stations and movie soundtracks. They are my new favorites. Can’t wait to try Christmas stations. And now there is commercial free music coming from a radio station of music that I love – any time I am in the bathroom getting ready for the day – or winding down for the night. If you are a music lover – you will love this option on your mobile devices! And if you have not yet discovered having a speaker dock for your mobile devices – I highly recommend Sony – great speaker sound and has a digital radio with it – with the clock displayed on the front. Great for at night when I get up to go to the bathroom 🙂 It even has a remote – just like this one in the picture. I use the remote ALL THE TIME – especially for Spotify tunes or tunes from my own playlist in iTunes. I know you will love it! Yesterday Greg and I went to the optometrist to see if our vision had changed in the last two years. 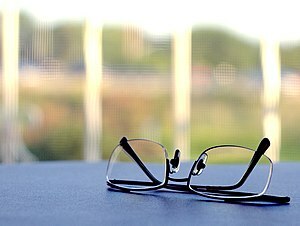 I am an occasional glasses wearer and Greg proudly wears contacts – claiming that his vision is never blurry. Our doctor was very knowledgable and humorous as well. He let Greg and me have our eye exam at the same time all the while making us laugh – or we made him laugh, not sure which – but I know we laughed quite a bit during the appointment. He is interested in the way the eye works and gave wonderful examples using things around us and even space – to illustrate his points. Since I have always been fascinated with anything to do with “space” – it was fun AND informative. After examining my eyes for distance and nearness – it was determined that my eyes still have not changed that much over the last 10 or 15 years – except for that pesky problem reading while having my glasses on for distance. So I will now have the type of prescription called a “progressive lens” that will be good for both and now I will no longer have to take my glasses off while watching TV to check messages or play games on my iPad or iPhone. I also have had to do this with my prescription sun glasses in the car. An interesting thought. What am I missing? If I can’t see you clearly at quite a long distance – is this bad? Since I am used to things in the distance being a little blurry – I don’t know anything different. I am oblivious of what I am missing. How many times are we oblivious of things just outside our ability to see, hear or sense them? The chaos, the noise, the distractions – that are there – and yet, not there. Anyway – these progressive lenses allow me to see both distance clearly and up close – but I do have to adjust. I’m just not used to them. And I guess that’s how it is in real life too. Constant adjustments for things I can see and things I can’t. Maybe we all need to have occasional adjustments in our spirit so we can see things clearly. We have a puppy. A little dog who will never be much more than 10 or 11 pounds. She is a lot of fun – and to be sure, so much more than I ever thought possible because she seems so human. But I will never feel protection from her. Just a lot of love. 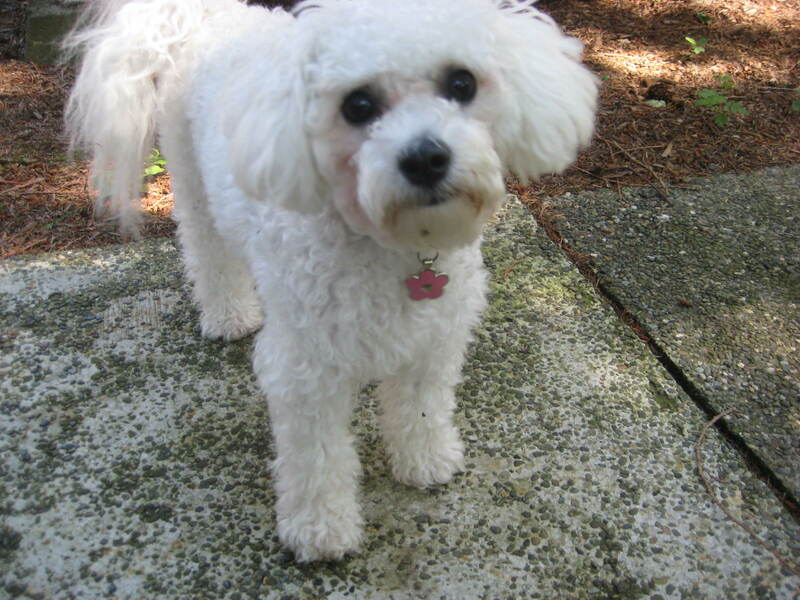 This is our 10 month old Bichon Frise named Daisy. She is a wonderful dog. She likes to cuddle and play, be silly – and loves to make us laugh by dragging a shoe or slipper off and then turning to see our reaction. She is not destructive like I’ve heard so many breeds of dogs can be – especially when left alone for long periods of time. When we come home from being gone – nothing is disturbed – and we know she just runs upstairs to our bed and sleeps. She is gentle and LOVES people – sometimes too much and gets TOO excited when first greeting them, but then soon calms down and enjoys just being near anyone. She follows me everywhere – my little shadow, hanging on my every word. But Daisy is NOT a watch dog. I’m glad I was somewhat prepared for this before deciding on the right breed for us. I wanted a companion dog – Greg works a lot at night and knew it would be important to have the right kind of dog to keep me company. And having a dog around I just knew I would be safer as the dog would alert me, bark or growl and scare away prowlers and the like – at least I thought. However, Bichons are lovers not fighters. Alas – that sweet cottony white angel is too gently and timid to be much of a menacing presence to scare anyone. But they like to think they are. For example: she will be out in the yard playing, something will spook her, like the dogs barking next door and she will run in the doggie door and look through the french doors to the backyard and BARK AND BARK her head off. Even occasionally HOWL and GROWL with such LOUD DETERMINATION – all the while safe in her own home. It is quite humorous and this can go on for a very long time – until she feels the danger has passed – or that she has exerted herself for long enough to tell “them” a thing or two. Unfortunately for me – she also feels the need to “alert” me – or “them” of her superiority in the “wee” hours while Greg is out and I am trying to sleep. It can be very alarming to be awakened out of a deep sleep with Daisy barking before even raising her head and then flying off the bed to tell “whomever’ or ‘whatever’ that she is the boss of this house. This behavior puts me in such a state of panic – I actually think there really is someone in the house – especially when she won’t stop growling standing firmly on the upstairs banister – staring straight down into the dark downstairs. Yikes. The first time it happened, several weeks ago, I was quite alarmed, thinking there really was someone in the house. I turned on my iPhone and called Greg. He said it was probably nothing – and sure enough – it was. It did freak me out a little though, if I’m honest. It does not happen every night – just enough to throw me off, keep me a little off-balance and really mess with me! I have been lost many times. Not because it is fun but because I have no sense of direction. At all. Usually this happens in the car while driving somewhere. Sometimes I don’t even have to be in the car – but just looking for it. When my children were small I got lost driving places all the time. Before cell phones I would get exasperated and finally pull to the side of the road and feel like having a good cry, but usually I stopped myself because the kids were in the car and I wanted them to believe that I could do anything even be strong and get them anywhere we needed to go. But they knew the truth. I was simply and hopelessly lost. In one such comical moment when living in Fort Worth, Texas – I was driving with 5-year-old Ashlee in the pouring rain. We were on the freeway, I missed my exit and was really lost. I remember feeling so annoyed and a little scared too – I mean where in the world was I anyway? I even enlisted the help of my 5-year-old and said, “Ashlee please help me read those blasted signs!” To which she replied, “Mom – I can’t read” Oh yeah – details. Fast forward to the mid-nineties when we had our first cell phones. I was a sales director in training in those days and did much of my business on the phone while commuting between Kirkland where we lived – and Renton where we went to church. In those days it was not against the law to talk on a cell phone while you drove so I got much done that way with my sales calls. One time because I hate to drive on the freeway in the rain – I chose to take a “back way” home. I got lost. Again. I called Greg from where I was and couldn’t even tell him where I was so the cell phone couldn’t help me! Fast forward again to the present – where I now own an iPhone with navigational ability. Yeah for me! Yeah for progress! Except….when the maps on the iPhone takes me a “back way” just because – and l end up in a neighborhood that looks nothing like the neighborhood I’m supposed to be in! It was someplace I had been before, but not for 2 years. I thought the map would direct me so I didn’t take along the directions. I was hot, tired and in a bad mood after trying to follow to the letter – the step by step instructions on the map app. Daisy my 8 month old puppy was along for the “easy” drive and gave up on being patient 30 minutes previous to me finally pulling along the side of the road. I thought to myself, “this can’t be happening to me again” and was not a bit funny as I found myself wanting to cry. How silly, I thought. Who cries over being lost? I guess I do. I called Greg and he suggested that I try mapquest or another map app – and if that didn’t work – I should just go back to the place I remember and the map app would redirect me. If he heard me whining and whimpering (just a little) he never let on. I mean – how bad could it be, right? Except for being hot and cranky and Daisy too – we were still in one piece, had less than a quarter tank of gas and no one needed to go to the bathroom. Yet. I tried the address in mapquest and a funny thing happened. It did not even recognize the address and tried to give me an alternate one. After circling around in that neighborhood a few times I finally found my way out and to the main road. I had to rely on my very bad memory and NO sense of direction to get me to the right street – but I eventually found it. But a strange thing happened as I perused the house numbers. The house that I knew had to be the house was one number off from the address I had typed into the map app. Have you ever been really lost? What’s your story? Most things in our lives work. It is when they don’t, that we notice. Because I also run a business and manage personal appointments, my calendar is very important to me. 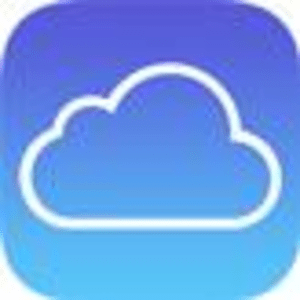 The nice man at the Apple store told me I needed iCloud to sync my devices together wirelessly – and he turned the feature on – on both my iPhone and iPad. 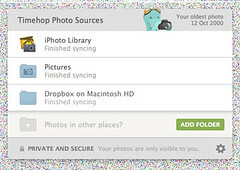 Unfortunately, he did not realize that at home I have an older Mac, which does not support iCloud – and by turning on this feature, I received duplicates on everything on my calendars. So while coming home, I deleted all the duplicate entries on my iPhone. But when I arrived home to check this with iCal on my iMac I found to my despair – EVERYTHING had been erased! Just vanished into thin air! I remember having this problem when I first got my iPhone and the only fix was to turn off iCloud – I just couldn’t remember why! Now I know. While trying to rebuild the information from both my iPhone and iPad 2 – I found that many things were gone and there were significant holes in my schedule. This was a disaster because I have 25 music lessons every week and some of those appointments had to reschedule or change and I now had to rely on my faulty memory – not good. It was a panicky situation for me. I read every forum I could get my hands on talking about syncing my calendars so I would never have this problem again – but came up empty every time. There was a way around iCloud on iCal – but I could not understand it – even though it was supposed to be easy. I called my techie son who works for Apple and it was discovered that I don’t have enough memory and would need to buy more memory and then do an upgrade to Lion before I could get iCloud on my Mac. It was discouraging and expensive. All I wanted was to sync my calendars and for it to work. So I slept on it – and the next morning I tried again. I came across another forum talking about the same problem as mine. This time the “fix” was so easy I felt almost ridiculous trying it. In the process I was on hold for an Apple techie to see if I had done everything I could. By the time a young man came on the line I was well into solving the problem by syncing the three calendars on iTunes with a special iCloud code that was given in the forum I was reading. The Apple tech – (bless his heart) said that it basically couldn’t be done and that I needed the upgrade. Period. So when this simple “fix” WORKED – I was AMAZED and ELATED!! We often take things for granted when they work. Do you have a problem you’re trying to solve? Don’t give up. There is always an answer. It may not be the answer you’re wanting or thinking needs to happen – but there is always an answer. Look for another way – think outside the box and find out what works.